Swedish no. 1 Nils Grandelius beat 18-year-old Hungarian talent Benjamin Gledura to take an early lead in the 5-round TePe Sigeman & Co. Chess Tournament in Malmo, Sweden. 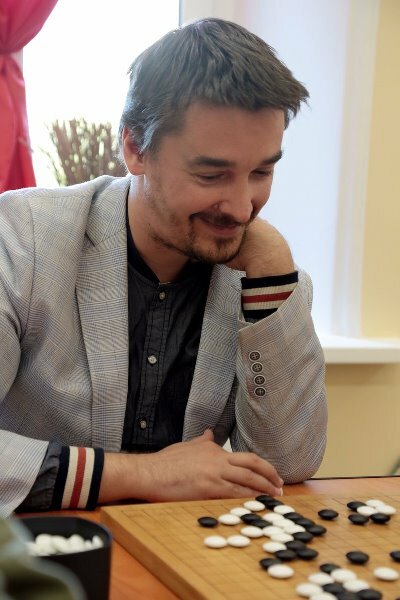 It could have been a perfect day for the local players if Linus Johansson had also beaten Alexander Morozevich, but an ending that suddenly got razor-sharp eventually ended in a draw, while Tari-Vidit was a theoretical battle where neither player gave an inch. During my professional chess career it was very regular to have peaks of 12 hours 12 days in a row when I was forcing my preparation for top events. Nowadays I am on my leisure time. I stopped playing professional chess at the beginning of 2015, so as a chess player I have no goals. As a chess master I still have goals and duties – to share my knowledge, to raise my students, to contribute to the popularization of chess all over the world. This should be a good chance, and with just five rounds it shouldn’t be too tiring for someone out of regular chess practice. The short distance of course increases the importance of any win, and it was Nils Grandelius who got off to a fast start on day 1. Just look at the pitiable position of the black cavalry and a8-rook, while the threat of taking on f4 here saw Black go for 17…g5, allowing 18.Ne5! The rest was more or less smooth, with Yasser reminding Nils of some Mikhail Tal wisdom when the Swedish no. 1 complained about not being sure if he’d found the best win: “All you need is one win per game!” Black could have put up some more resistance (24…d6! had to be tried while Black had the chance), but it was a richly deserved win. In general, I have tried taking a broader perspective on all aspects of chess. There is a great difference between knowing a lot about chess and playing well; something I previously didn’t appreciate enough. I feel like I am not even close to being a chess pro, even though it was a dream when I was a kid. Today I am occupied studying computer science at Chalmers, and most of my chess ’training’ comes from blitz games online, on the tram or at home, but also from playing in the Swedish and German leagues. A popular opinion about my play, but strangely enough, I always considered myself to be a classical and positional player. The move that’s crying out to be made here is 33.Bc4, hitting the knight and threatening to win a piece with Nd8+ discovered check, but Black is holding on there with 33…Nb4! 34.Nd8+ Bd5. Instead, though, 33.Bd3! has the more prosaic goal of winning an important pawn, and it turns out there’s no way of stopping that e.g. 33...g5 runs into 34.Nxg5! and now Bc4+ really would win a piece. Instead after 33.Nd8 Bd5 the game fizzled out into a draw. I managed to cross 2700 elo rating in August 2017 and then increase it all the way to 2723. I think the main reason for my success in Tata Steel was my consistent play. I got a bad position in one game only, where I managed to make a draw, and in most of the other games, I was pressing for a win. Whereas my competitors lost more than one game. Vidit told Yasser that his recent nightmare was that he was playing a simul not against 10 human players but 10 computers! 30…Nc3+! 31.Qxc3! e4 32.Bxe4 Bxe4 33.Kd2 Qxh2 34.Kc1 Qxg2 35.Rg1 Rf1+ 36.Rxf1 Qxf1+ and perpetual check followed on the light squares. 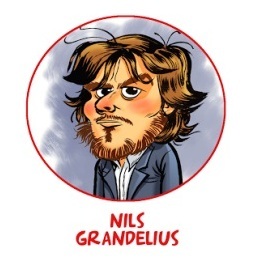 So a fun first day left Nils Grandelius as the man to beat, and Vidit has a chance to do just that in Round 2, when he has the white pieces against the Swedish no. 1. 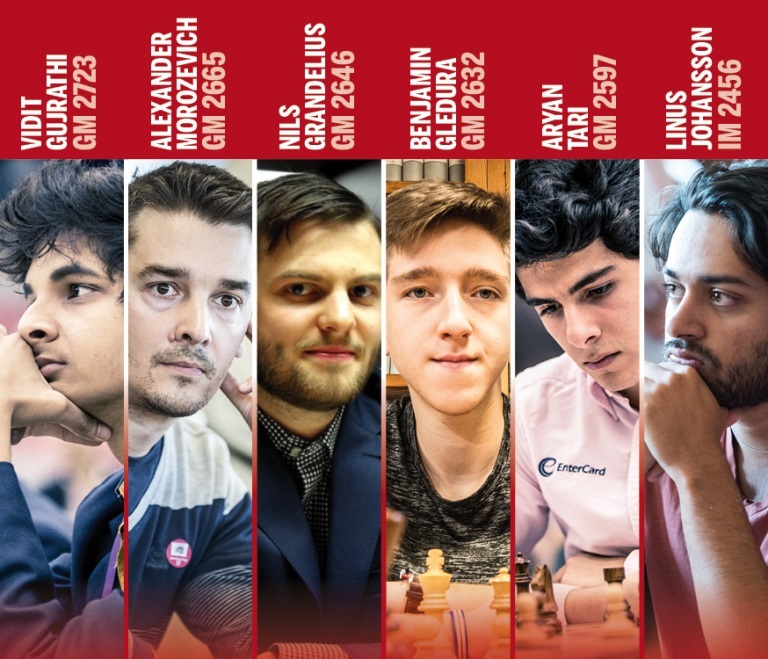 Follow all the action from 14:00 CEST on Saturday here on chess24!